"I have a new perspective on issues that had been problems for me in the past, and I have achieved more joy in my life." "Thank you for the joy of Reiki, especially being able to send distantly to my father and mother." "My own life has been enhanced beyond measure, and I now have a better life." 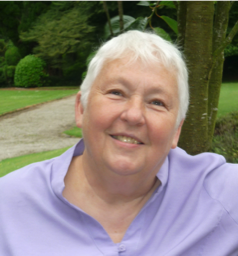 Fay Bailey is a well known Energy Healer, Reiki Master and Karuna and Holy Fire ll Karuna Master Teacher based in Kendal, Cumbria, UK. Fay has a host of other holistic therapies to help you become healthier, happier and more contented in life. Fay Bailey is proud to announce a new Holy Fire Karuna Reiki© Master Course running in July in Kendal, Cumbria. (Book before 22nd June). For news of this event, and to book on, see this link: to our workshops and events. Begin to fully understand the Law of Attraction. It's never too late to start living in Abundance. Aligning Actions with Beliefs and Values. Accompanying workbook with this course. Elements and components of Tools of Manifestation. Practical Application of various methods of manifestation including; Crystal Grid, Dowsing & Vision Boards. Opening yourself fully to receiving in every sense. Now you are Attracting and Manifesting all you desire. You can do a one off workshop or all THREE. If you allow your mind and thoughts to align themselves with the keynotes of courage, confidence, strength and success, you attract to yourself people and things that fit your mental tune. You become what you have thought yourself into being. You are at this moment, reading this, setting into motion thought currents which in time attract. Get the best to be had in the thought world. Be satisfied with nothing less. Get into partnership with good minds-get into the right vibrations. Distant, Distance or Absent Reiki Healing is powerful Universal Life Force Energy sent to a person, animal or situation that is at a distance. It is possible to transmit this over any distance, even the other side of the world and is incredibly effective at the time of sending and thereafter. If you would like Distant Reiki Healing sent to yourself or another. Tell us the full name and the location (town/city/ country in which they reside). You can do this via the contact Fay page - everything is treated in the strictest confidence. Reiki is received instantly by the person, animal or situation and is for their Highest Good. Please make a donation of any amount for the Distant Reiki Healing as an exchange for this service. To make a donation for Distant Healing sent, you may donate via PayPal below.